Author: Antoine Laurain – play spot the hat! Publisher: Gallic Books – specialist in translated works. Publication Date: 28th March 2013. Where to read? Head to Paris and sit outside the Sacré-Coeur Basilica in the sunshine and enjoy reading and people watching with a picnic. Refreshments: As mentioned a picnic is my choice for this book. So if you heed my advice and head to Paris then it will be pretty easy to pick up: a baguette, cheese, cured meats, salad and a bottle of crisp white Muscadet wine. It’s 1986 and officer worker Daniel Mercier faced with dinner alone decides to treat himself to a slap up meal in a Parisian brasserie. 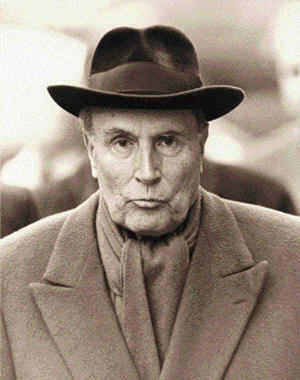 Seated at the banquet bottle of Pouilly-Fumé in hand seafood platter on the way he is shocked when President Francois Mitterand enters and occupies the seat next to him. After dragging his oysters out for as long as he can Mercier watches as Mitterand leaves the restaurant without his hat. Emboldened by the wine Mercier swiftly snatches the hat inadvertently setting off a chain of unexpected life events for the people of Paris. After reading the jacket of this book, I was surprised to find that it wasn’t just about the life of Daniel Mercier, but in fact a collection of short stories deftly woven together by a felt hat. When Daniel leaves the hat on the train it is discovered by a woman on her way to meet her lover, the hat then meets a perfumer and later a right-wing city gent. We are introduced to each of the characters when they are at a stage in their lives where they need something to boost their morale and for them the hat translates into that strength. Although initially surprised I actually loved this style, with each episode offering a snapshot into the lives of very different people. My favourite story concerns Aslan, a retired perfumer who finds that hat on a park bench. At the time of finding the hat he is dealing with a 6-year bout of depression and although he has a loving wife and son he sees no way out of the darkness. However, with the hat on his head things begin to change, slowly at first with the simple shaving of his beard, yet culminating in him finding himself and re-embracing life. The book is consistently optimistic in its tone, leaving you with the feeling that whatever the situation one eventuality can change your luck, especially when you aren’t looking for it. In addition, after living in France for a year, and making many a trip to Paris whilst there, I have always loved French fiction and translations, not to mention the culture and lifestyle of the people. In his book Laurain manages to instil the whimsical and bright feeling of Paris, as well as the’ distinctive ‘devil may care’ attitude of the French – who cares that Mercier drinks a bottle of wine then gets behind the wheel? Plus, the historical details of the 1980’s regarding the politics as well as the architecture, in terms of the Louvre’s glass pyramid, were also woven in beautifully to give greater depth to the story. Although, this book is really easy to read, it doesn’t detract from the fact that it is immensely enjoyable and leaves you with a spring in your step and a smile on your face. Publisher: John Murray. 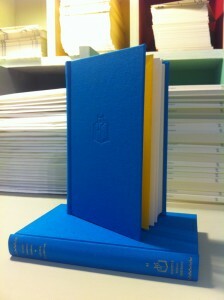 However my copy is an edition published by Slightly Foxed. Publication Date: Originally 26th September 2002. Why did I choose to read this book? I subscribe to the Slightly Foxed, ‘Real Readers Quarterly’ and was instantly intrigued by the story of the woman behind Mrs Miniver. Plus the books SF produces are genuinely beautiful editions! Where to read? An armchair with your feet up – you won’t be able to put this book down so make sure your reading nest is comfy, (this one is a slightly bizarre option). Refreshments: Cups of tea are a no-go unfortunately. Instead I suggest either: invest in some good quality coffee or a full-bodied red, like this Malbec. For food, take a leaf out of the Queen’s book and head to Paxton & Whitfield to stock on a good selection of cheeses. Winston Churchill once said Mrs Miniver* would do more for the Allied cause that a flotilla of battleships. This biography reveals the woman behind the Mrs Miniver character. 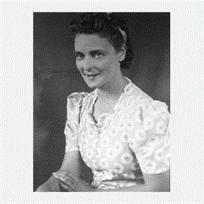 Written by her granddaughter the story details the life of Joyce Anstruther, later Maxtone Graham and finally Placek. From the 1930’s to her premature death at the age of 52 years old, we are taken on her journey from journalist and poet to best-selling author and wife both in the UK and America. Before reading this biography I was dimly aware of the character Mrs. Miniver however, what I was completely ignorant of – but thankfully no longer – was the woman behind the perfect mother, housewife and all-round domestic goddess, Joyce Anstruther. Her story, as told by her granddaughter takes you on a roller coaster of emotions, not dissimilar as to how this remarkable woman lived her life. Throughout this insightful and in-depth tale we are given the chance to get to know the woman behind the mask. A woman who lived her life in extremes, swinging from chronic depression to embracing all-consuming passions. It’s refreshing that Ysenda doesn’t shy away from detailing the darker aspects to her grandmother’s character. The comments about, how Joyce always had to ruin holidays or destroy other people’s enjoyment, paints the crueller side to this complex woman. It was often unbelievable to learn how crazily talented Joyce was. From writing for Punch to penning much loved hymns like, ‘When a Knight Won His Spurs’ – which brought fond memories back of primary school – it is understandable that her life in the shadows of Mrs Miniver was dogged by frustrations. The pressures to become the epitome of this idealised character were keenly felt under the glare of the needs of the British war efforts resulting in a polarisation between her heart and her head. Not to mention the ‘jungles’ that hounded her in later life. The aspect I loved most about the way the book was written was that Ysenda had included frequent extracts of Joyce’s own poetry, diary entries and witticisms. The most notable being a reference to the musician Bach and the fact ‘he’s so alright making.’ Her comments are sometimes quite acerbic but always hit the nail on the head in a unique and often amusing style. This is in direct contrast to her letters to her lover (and later husband) Adolf Placek which are full to the brim of effusive declarations of love. These inclusions both entertain and offer a greater insight into the shifting mindset of this woman. In short this is a fascinating and beautifully written piece of work and in fact is the best biography that I have ever read. Rating: 10 out of 10 -my first full marks! *Mrs. Miniver was a fictional character borne from the mind of Joyce Anstruther and Peter Flemming in 1937 and appeared in a series of newspaper columns for The Times. The columns were reflections on every day life, depicting domestic scenes and a world barely affected by the coming of WWII. Later they were amalgamated into a book and adapted into a film of the same name. Event: An intimate evening with Cora Carmack. Who: Cora Carmack, bestselling author of ‘Losing it’ and pioneer of the New Adult genre. Check out her author website. 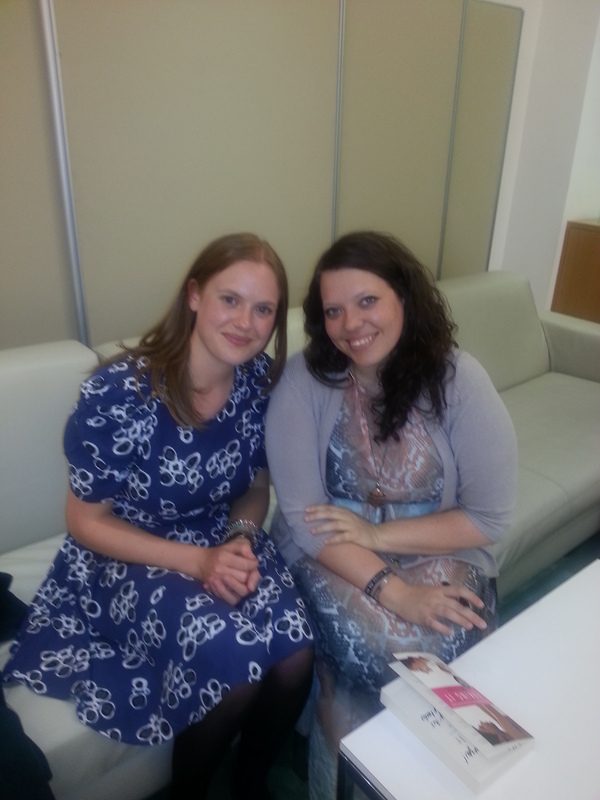 What: An evening with Cora to celebrate her latest novel, ‘Faking It’, published by Ebury (Random House) and to discuss what’s coming next for this twenty-something girl from the USA. When: Thursday 13th June 2013. Where: The canteen at Random House Headquarters, Vauxall Bridge. Refreshments: The drinks tray was offering champagne with a dash of elderflower cordial and a raspberry for colour or a Morgan Spice and apple juice. I plumped for the former – well I plumped for three of them – and although I am usually of the opinion that elderflower tastes like you’re eating grass it was actually really refreshing and enjoyable. The snacks were the usual savoury snacks of cheese sticks and a variety of crisps, there were also some attractive looking cupcakes at the ‘Caking It’ stall. All in all a good nibbles selection. This was my first outing to the Random House headquarters and, as per usual, completely misjudged walking times from the office arriving a little flustered to meet my friend and fellow blogger Sarah (Today I’m Reading). We were given the requisite name badge and ushered by the helpful Randomers into the venue where we were greeted with Champagne and nibbles and the opportunity to explore the ‘Making It’ activities. After mingling like a pringle, it was time to meet Cora. We were sheep-herded into the next room (glass topped up) and took our seats in order to listen to Cora talk about her journey as an author and later short readings from her two books. Cora came across as completely down-to-earth and excitable at the same time. Which was unsurprising due to the whirlwind adventure she had embarked on only last October. It was also refreshing to hear that she had taken on the challenge of self-publishing ‘Losing It’ to test the receptive waters in this budding genre of New Adult literature. New Adult as Cora explained is a genre only just emerging into the popular domain. Quite rightly this genre acknowledges the gap between teen fiction and adult fiction. In my opinion I can see this style of writing being more successful in America compared to the UK, as during my university years I personally didn’t feel a gap was there in regards to my literary requirements. However, the readings were truly entertaining. Cora managed to capture the essence of each character and it was genuinely amusing to hear the mental musings of Bliss and then later Cade and Max. Plus, Cora’s overall bubbly magnetism and joie de vivre was a delight to witness. After the readings and Q&A session we were escorted around the different tables were we could recreate her book covers with different celebrity faces, or film our own ‘Faking it’ confessional – interested to see where those film clips end up! Plus the all important goody bags were handed out. Everyone loves a goody bag, and because one of the sponsors was Barry M my dreams of nail varnish were revealed in a bright purple hue. 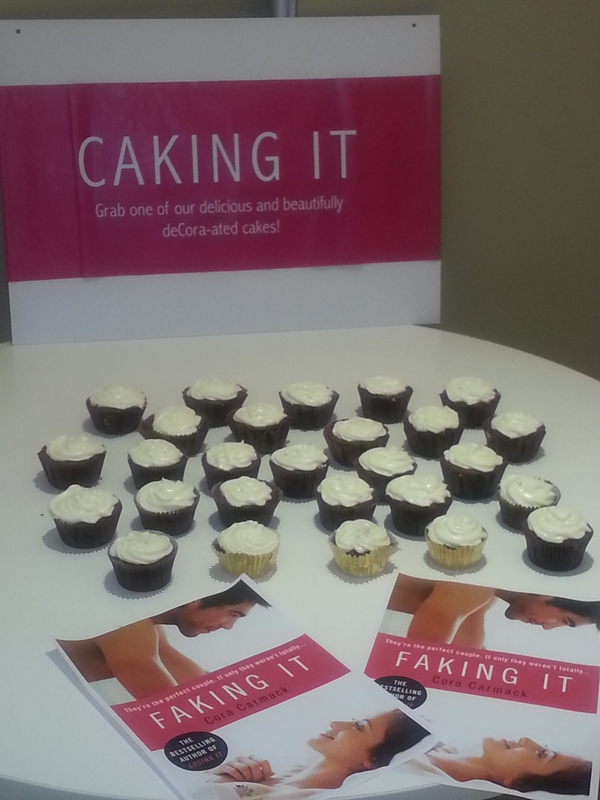 We also got a copy of ‘Faking It’ which Cora signed, and a packet of love hearts. Overall this was a really fun, girly evening hosted by Cora (and Ebury Publishing) who is quite clearly loving life right now! Publication Date: 11th June 2013. Why did I choose to read this book? I was drawn to the title in a twitter competition and won. I won a cheese hamper that week too #twitterwhore. Where to read? The wives detail their lives as being a bubble. However, Zorbing is probably not a good idea for reading, so why not try a weekend break to France in one of these ‘Bubble Tree’ contraptions? Refreshments: Well the wives’ choice is deviled eggs and champagne (or sparkling wine for those of us on a budget) so it would have been rude not too partake in this simple yet delicious combination. Vol-au-vent anyone? 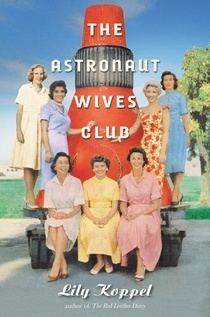 The Astronaut Wives Club investigates the unique group of women who supported their husbands as they transformed into the A-List of America’s space race. Spanning the 1950’s up until the termination of the space programme in 1972 this fascinating commentary details the lives of the wives of the NASA astronauts. This group of exceptional and very different women juggled with portraying the all-American family dream, with lunch at the White House and fending off the space cookies. These are women everyone should know about. Koppel is the first to make a giant leap (sorry small Armstrong ad lib) into the world of these women and it is a truly remarkable one. Plucked from relative obscurity, wives of test and army pilots, these women were thrust into the limelight, every aspect of their lives documented by the media and completely taken over by their husbands careers. It was fascinating to learn about the network of support these women built but at the same time the complete loneliness they felt at the same time. It was also extremely fascinating to have the thread of American Social History running through the book, especially Koppel’s insightful detailing of the Women’s Liberation movement. This is effectively woven into the ‘wives’ story, in reference to when accidents did occur and they were left widowed, and the brutal reality of what they should do next hit them. Although these women didn’t physically walk on the moon it was eye-opening to read of the pressures of being married to the ‘rock-stars’ of the mid- 20th Century. The importance of presenting strong family values, when your husband was away doing god knows what was a constant struggle. The fierce competition between the astronauts also made it difficult for the wives to voice any real fears, if they claimed to feel anything other than, ‘Joy’ and ‘Pride,’ there was the chance their husband could be demoted down the flight order. It is clear these women deserve awards, as I’m not sure how many women these days could juggle all these balls whilst rocking a beehive. The only downside I had, if you can call it that, was that Koppel is dealing with a vast group of women in her book. As a result, at times it was difficult to remember who was married to whom and exactly what their trials and tribulations were at the time. The chronological nature of the book is effective but it’s definitely a story that needs a flip back to the cast order every now and then. This was an exceptionally interesting and at times shocking read about a topic that has been sidelined in the recounting of history.